On your Mac go to the Applications folder and open FaceTime. 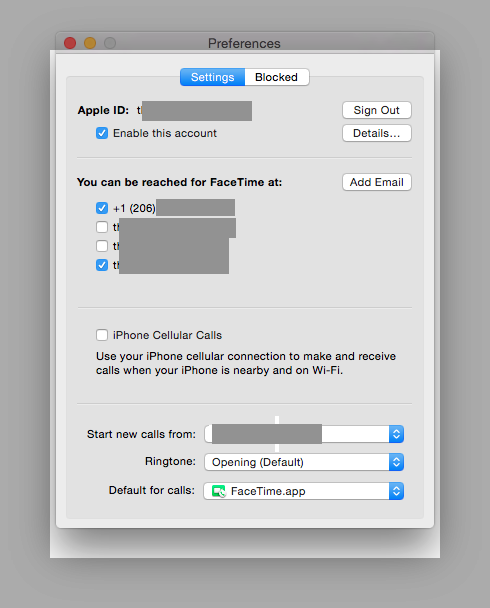 Click on the FaceTime menu and select Preferences. Remove the checkmark next to iPhone Cellular Calls. Click the red dot to close the Preferences window. Read more about Continuity, iOS 8, mac, OS X, ring, yosemite.